Mumbai: Indiabulls Group, the Mumbai-based finance firm funded by billionaire Lakshmi Mittal, is shifting from increasing profitability to “survival" after the collapse of Lehman Brothers Holdings Inc. froze credit markets. The group has slowed lending to small and medium-sized businesses as credit has dried up, Gagan Banga, chief executive officer of Indiabulls Financial Services Ltd, said in an interview. Indiabulls will cut about 1,000 of its 20,000 staff by not replacing workers who quit, he added. “If the US government had bailed out Lehman, then the credit markets would not have frozen up the way they did," Banga said. “Indian companies stopped getting money and they were put in the same bucket as the rest of the world and there is now this mad competition for money." High borrowing costs and a slowing economy are denting demand for loans in India, ICICI Bank Ltd chief executive K.V. Kamath said in a Bloomberg Television interview on 17 November. India’s benchmark interest rate, at 7.5%, is higher than that of China, which is growing faster. India’s overnight lending rate soared to a 19-month high of 19.5% on 31 October as banks remained reluctant to lend even as the central bank pumped cash into the system to combat the global credit crisis. While borrowing costs have fallen, lending will remain frozen without state support, Banga said. “We need directed lending where the government focuses on critical sectors and provides a backstop," he said. “Six months back I wouldn’t have wanted this but now desperate times need such solutions." Shares of Indiabulls Financial declined 4.99% to Rs95.20 each at close on the Bombay Stock Exchange in Mumbai trading, the lowest in at least three weeks, while Indiabulls Securities slid 4.76% to Rs20, at least a five-week low. Indiabulls Real Estate Ltd added 3.56% to Rs101.90. Record sales by overseas investors set Indian equities on course for their worst year in at least three decades. Most of Indiabulls’ hedge fund investors have sold the 15-20% they held, probably at a loss, Banga said. Capital World Investors sold 4.29 million shares in September while Goldman Sachs’ Asian, emerging and Bric funds collectively sold 2.23 million shares in the same month, according to Bloomberg data. Still, some investors including ArcelorMittal chairman Mittal are keeping the faith. Asia’s third largest economy will “bounce back" to 9% growth next year as demand for goods and services from the world’s second most populous nation will outweigh the impact of the global recession, finance?minister P.? Chidamba-ram said on Tuesday. Mittal and Farallon Capital Management Llc. are the largest overseas investors in the group, and have funded the brokerage, real estate, financial services and power units, according to Bloomberg data. Indiabulls Financial is the fifth largest non-bank finance company by sales while Indiabulls Real Estate is ranked 13th among developers and Indiabulls Securities Ltd is the fifth biggest retail broker, according to data compiled by Bloomberg. While the market rout has wiped off $30 billion of Mittal’s wealth this year, the steel magnate has retained his most profitable personal investment and isn’t planning to sell his stake, Banga said. Even as overseas investors, including Mittal and Farallon, have provided about $2.5 million in funding for Indiabulls, after the credit market seizure that isn’t enough, Banga said. “If there is one thing that I could have done differently I would have raised more capital," he added. “I would have been happy if I had raised double the $2.5 billion that I raised at start up." Indiabulls chairman Sameer Gehlaut started the group as an online stock brokerage with two fellow engineering graduates from IIT, Delhi. The company got its licence to set up a mutual fund unit in February and is awaiting the insurance regulator’s approval for its life insurance venture with a unit of Societe Generale SA. Banga says all the new business initiatives, including asset management and insurance, have been funded. Indiabulls Financial reported profit in the September quarter fell 28% to Rs134 crore while Indiabulls Real Estate’s net income tumbled 77% to Rs8 crore. Indiabulls will be able to survive the crisis as it is well capitalized with $2.5 billion in assets and $1 billion in cash, Banga said. 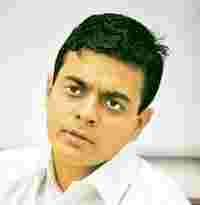 Indiabulls gave loans to 250,000-300,000 small and medium enterprises but won’t be able to increase credit, he said. “We’ll survive comfortably but we are not confident enough to extend the balance sheet at a rapid pace," Banga said. “We are a company whose philosophy was to grow rapidly, now we have to tell ourselves: grow slower."